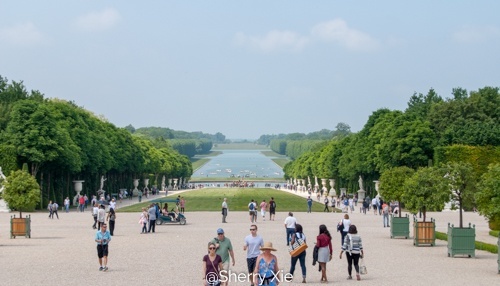 If you come to visit Paris, you should not miss Palace of Versailles. 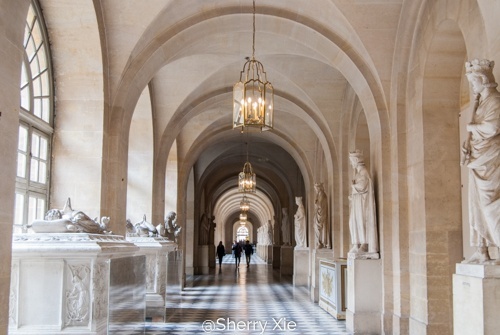 As one of the greatest achievements in French 17th century art, every single travel guide of Paris out there would recommend it to you! 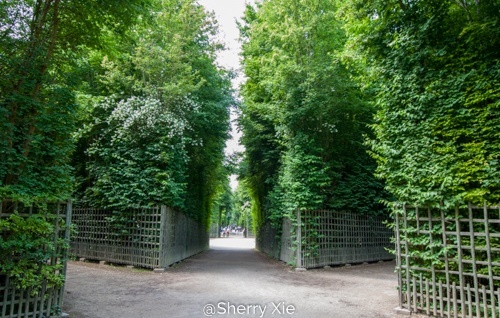 And it’s also included in the Paris Museum Pass. 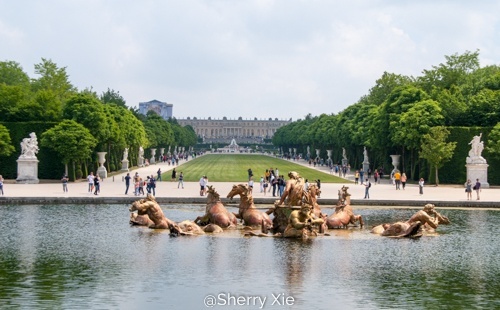 Getting here was very easy for me, because the place I was staying was just off RER C line. 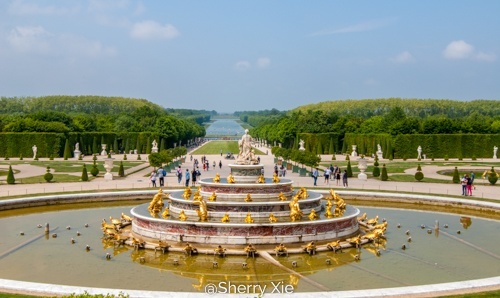 Simply choose “Chateau Versailles” as destination on the ticket machine, and hop on the train. It costs me 3.65 euro one way, and 30 minutes of train ride. RER is somewhat different than metro in Paris. It’s a double decker train that reminds me Go train in Toronto. After getting off the train, there’s announcement in English to remind people to buy return train ticket right away, so that you can avoid the long lineup in the afternoon. I thought that was very thoughtful! 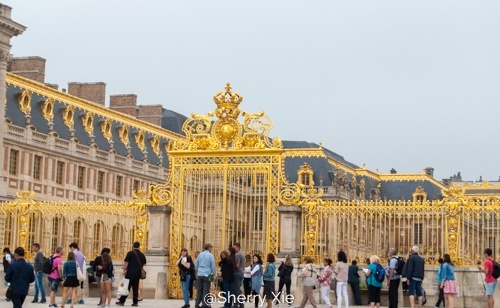 Following the sign outside the train station, in about 10 minutes, you will see this golden majestic palace. Even from far away, you still feel its grandness. It got so crowded when I was visiting various apartments, to a point that each room was full of people and it was hard for me to move. So unfortunately, I did not take any pictures. 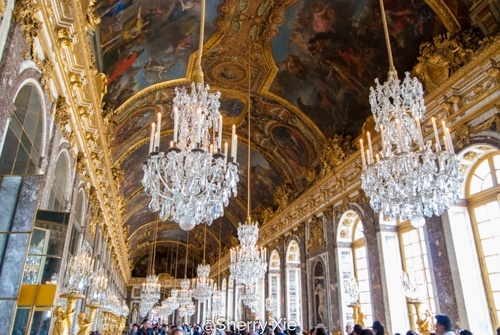 The very famous The Hall of Mirrors – Courtiers and visitors crossed the Hall of Mirrors daily, and it also served as a place for waiting and meeting. 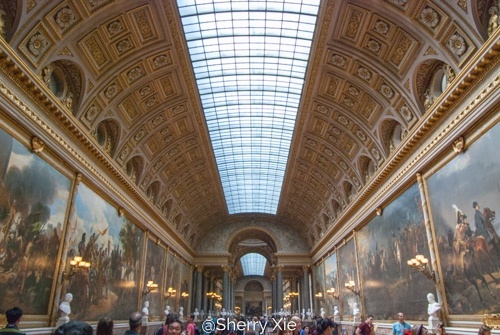 The Gallery of Great Battles – the largest room of the palace. 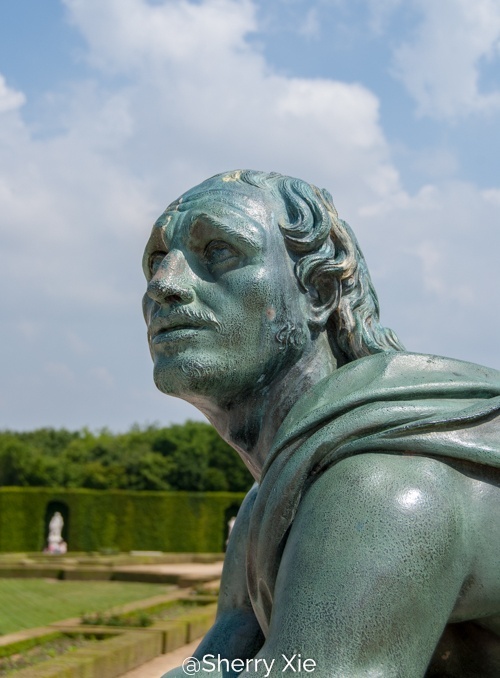 Louis-Philippe displayed 33 paintings here depicting the greatest battles that had influenced the history of France, from the victory in Tolbiac by Clovis to the victory in Wagram by Napoleon 1809. 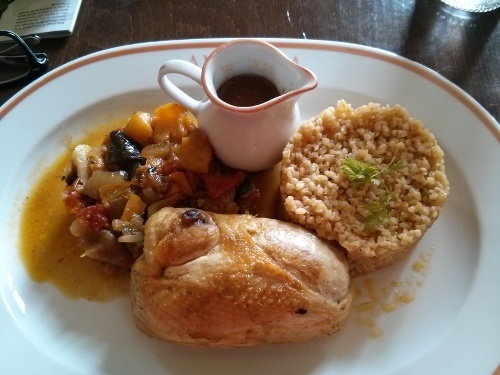 Before moving to the garden, I took some rest and had lunch at Angelina House: roasted chicken with vegetables. It was pretty good. 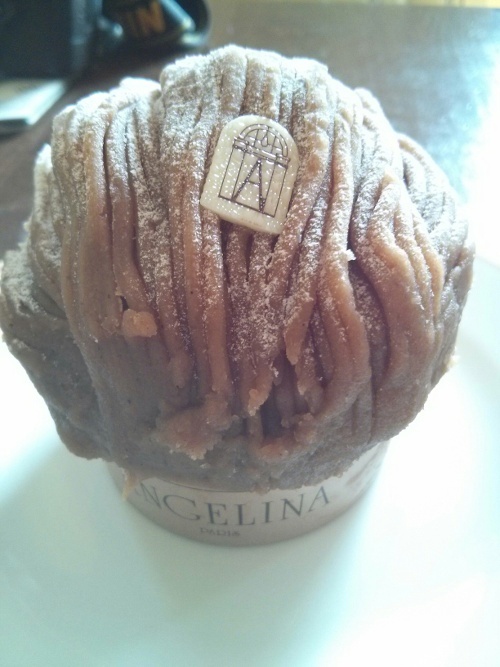 And Le Mont-Blanc as dessert – The signature pastry of Angelina. The pastry that makes the reputation of Angelina since 1903. Now, the garden. 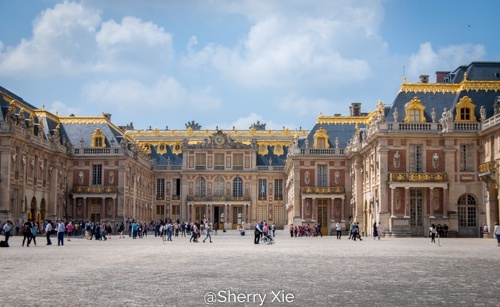 It was commissioned by Louis XIV in 1661 and took forty years for the completion. 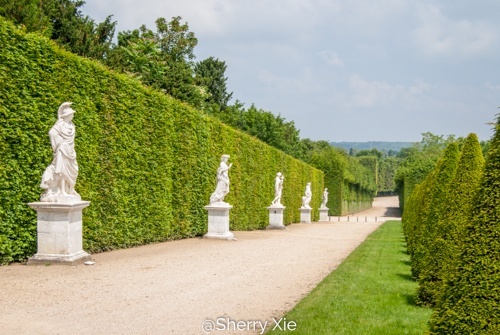 The most magnificent garden I have ever seen so far, holly molly. 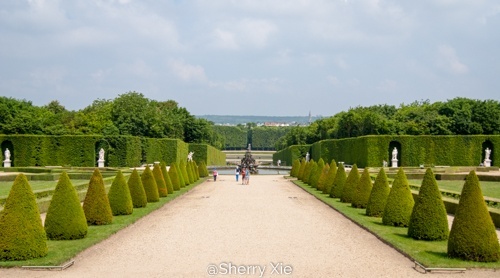 It’s highly recommended that you rent a bicycle or electric car to tour the garden. Wow you had a wonderful trip! 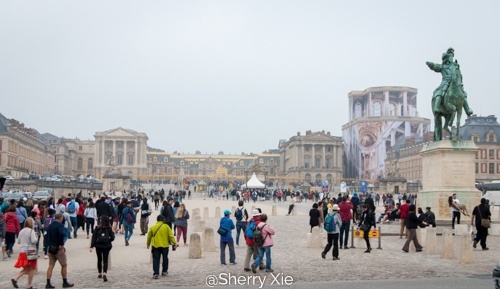 I visited Paris last October and loved the city so much! I enjoyed the scenic river views, the architecture, the food, the overall chic and lively atmosphere and the museums. Also, are you interested in hanging out in the weekends at a coffee shop and chat, knit and stitch together? I have done it a few times with another friend in town, not sure if you are interested.